Providing efficient and effective healthcare is a matter of life and death all across the United States. In many towns across the US, hospital systems are major employers and are responsible for managing our population’s health. The Business Systems and Consultants (BSC) team has been delivering solutions for healthcare environments for decades. We support physicians, research, laboratories, business offices, facilities, and security with a wide range of offerings. These offerings include wire shelving, mobile shelving, and lab furniture for testing and clinical research. For larger healthcare challenges, BSC supplies advanced storage systems, a leader in vertical storage units. Vertical Carousels are used to store sterile operating room supplies and surgical instruments. A major hospital has improved the quality of its patient care with Rotomats. The new system feature includes inventory management that allows the staff to track items to ensure proper supply levels are maintained, and that items do not expire. The carousel also protects items from all kinds of contamination, because they are kept fully enclosed inside the units and maintain sterility until they are needed in the operating rooms. 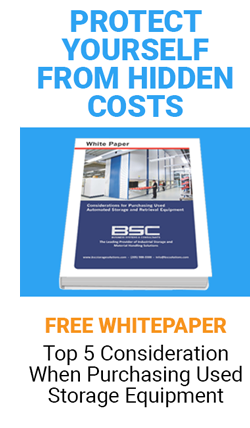 As with all BSC solutions, Vertical Carousels store an incredible number of items in an extremely small footprint. 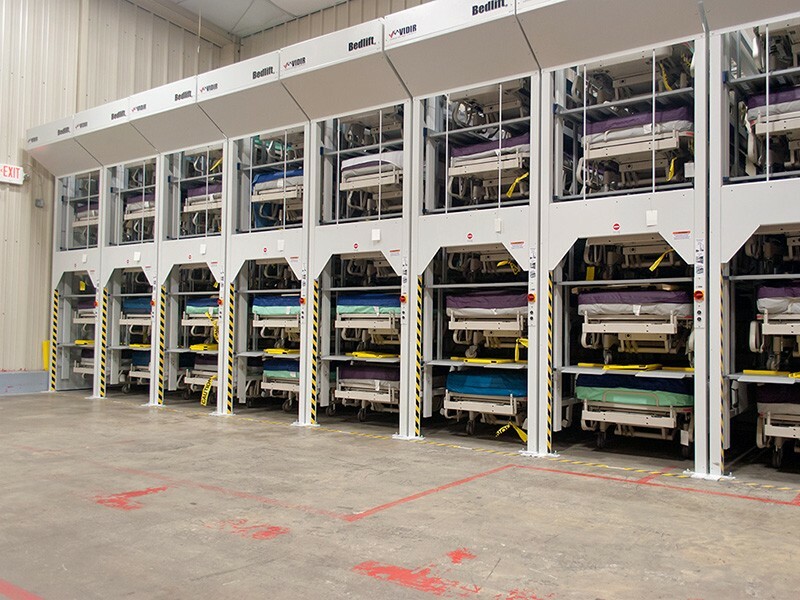 Vertical Carousels allow for trays to be delivered at an ergonomically correct workable height. Supplies are brought to the user, rather than staff needing to search for them. No one needs to walk through long rows of racks, stooping or climbing step ladders to reach items that can be heavy or awkward to lift. Those kinds of excess motion and movements waste time and energy. Proper organization and maintenance of both administrative items and clinical equipment are some of the most crucial tasks in healthcare settings, including hospitals, surgery centers, medical clinics, doctor’s offices, and labs. At BSC, we have decades of experience helping healthcare providers to find the right solutions for the management of your critical assets and that maximize your space to provide you with the greatest organizational capability in the smallest area, so that you don’t lose valuable space. You also need to worry about storing an abundance of tools, supplies, equipment, and materials that need to be organized and managed with care. For instance, the Hänel Rotomat is a carousel-style storage system that uses vertical height to maximize storage space while also taking up as little room as possible. In fact, it can provide as much as 60% more storage capacity than other systems. These highly versatile systems can be implemented in pharmacies, laundry facilities, operating theaters, and more to store and organize essential supplies and equipment, and to ensure the safe storage of sterile supplies. What’s more, these units are specifically designed for ease of use and bring stored items directly to the user as requested. Other great storage solutions for healthcare facilities include personal storage lockers for employee break and change rooms, mobile computer stations that can store and safeguard devices, and even x-ray carts that can move from patient to patient with ease. Although the Hänel Rotomat storage systems have applications in a range of industries, there’s a particular software called HänelSoft that was created for use in healthcare settings that can be used in conjunction with these two systems. 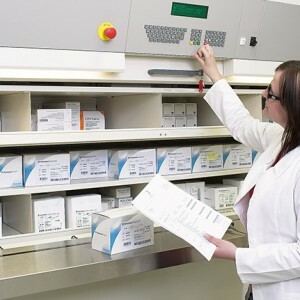 The software is particularly helpful in pharmacies, where it can be used to store and administer medicines, track drugs based on expiration date, secure medications, and supplies from loss, theft, or tampering, and track inventory. Another great solution that’s ideal for healthcare is the Vidir Bedlift, which is a vertical storage solution specifically for hospital beds. The system operates with Vertical Lift technology much the same as a vehicle lift is used for parking many cars in one lot, which is actually what the technology developed from. The Bedlift can facilitate the storage in a space that is slightly larger than the width of one bed, and with the push of a button, it neatly stacks beds one on top of the another to the ceiling (or at maximum five beds). Professionals can quickly access or remove beds with the semi-automated tech. Along with freeing up 70% of floor space, this system helps to remove clutter and tripping hazards from already crowded hallways, rooms, and storage areas. Not all storage and material management systems are created equal, and there are many solutions out there that don’t consider human comfort. But BSC understands that employee health and safety are of the utmost importance, and that’s why our systems are engineered to be as convenient as possible. At BSC, we understand how vital health care facilities are to the health and well-being of the nation, and that’s why we specialize in storage and material management solutions that are ideally suited to hospitals, care centers, and other healthcare facilities. Whether you’re looking for patient filing solutions or equipment and drug storage systems, BSC is sure to have a solution for you. Contact us today if you’re ready to learn more or make an appointment for a free assessment.